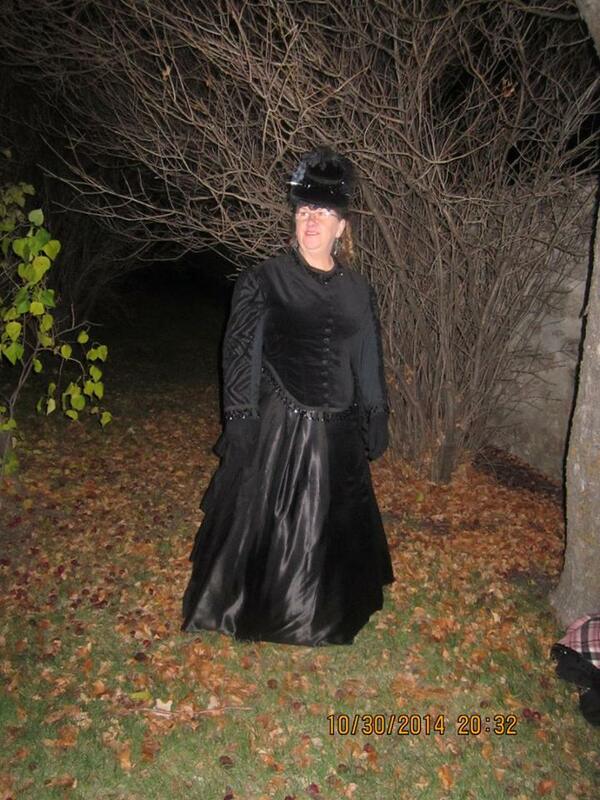 Shirley and I launched our Halloween last night at Lower Fort Garry’s Fright Night. Much fun was had! And more costume fun today! How about a quick post with a card that seems to have been made by an amateur photographer. I got it for a steal of a deal because of the stain on the woman to the left but it was worth it because you can still clearly see what they are wearing. I’d say this is an 1890’s photo…probably later 90’s based on the big sleeves and the hair styles, which seem very Gibson girl to me. 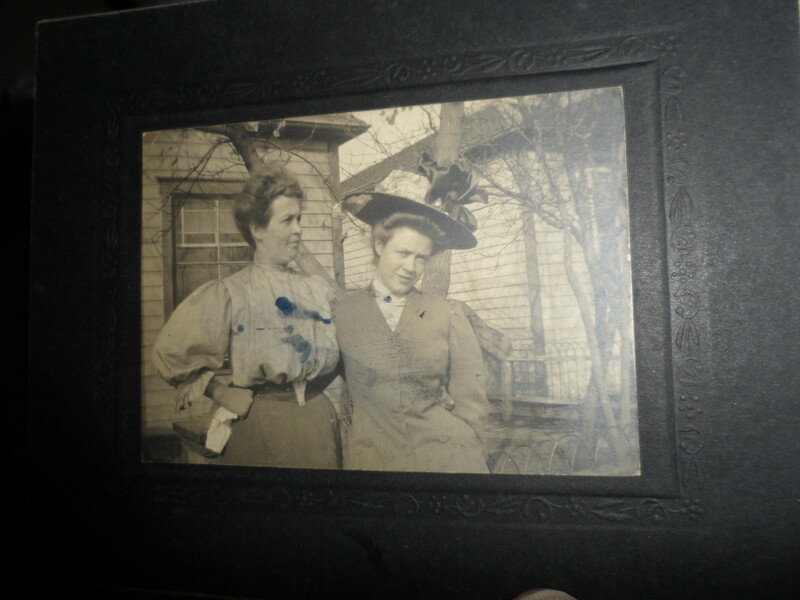 I’m thinking this is an amateur photograph because of the very informal pose of the two women and the house background. 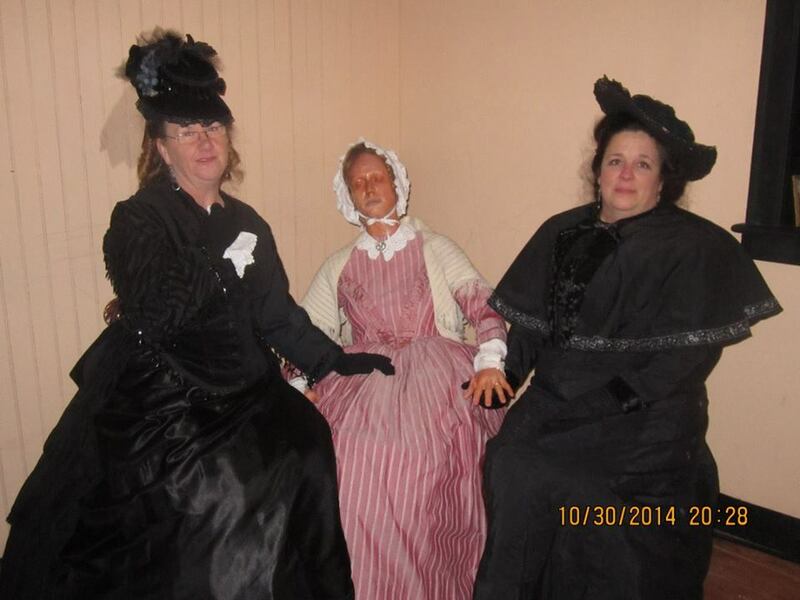 The lady on the left is dressed in her shirtwaist and no hat and the lady on the right has a jacket and hat. 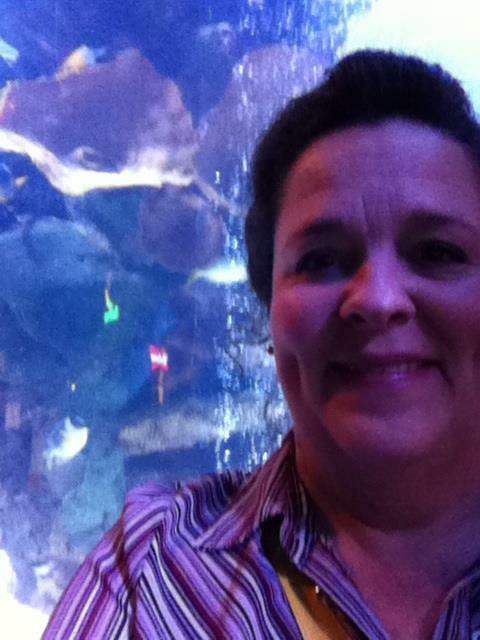 In my imagination, the lady in the shirt is the lady of the house in back. The lady on the right is a visitor. In honor of the occasion, the amateur photographer (husband?) has brought out his camera to capture the moment. Do you think they might be sisters? Sometimes I think I might like to wander out of the Victorian era a bit and check out the Edwardian era. This thought process comes to me when I see a nice Edwardian dress or when an event like the Titanic anniversary comes up. Then I shake myself up with thoughts like “where would I wear it” and “who would I wear it with”. But the biggest slow down is I’d have to start from scratch with the undies. An Edwardian corset is not easily bought so I’d have to make one and my back (with its issues) really doesn’t think it could do this….! 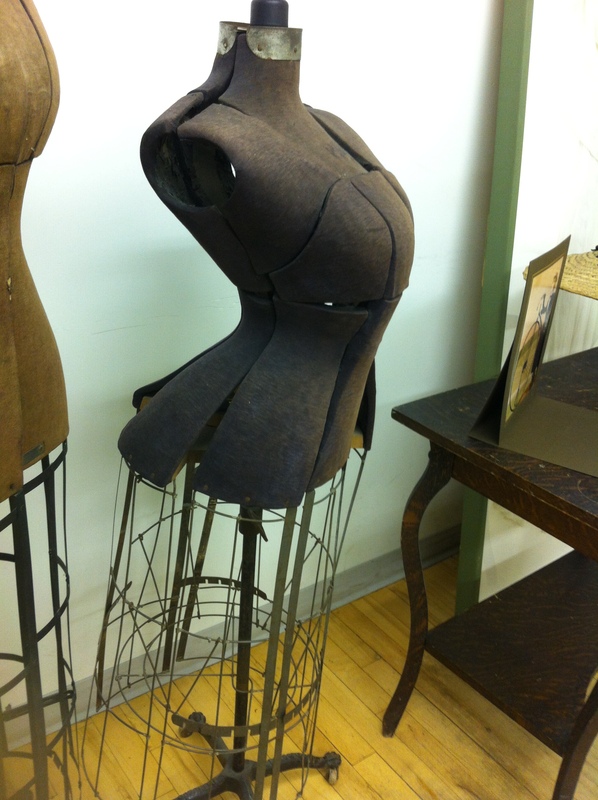 Edwardian dress form from the Costume Museum of Canada’s collection. 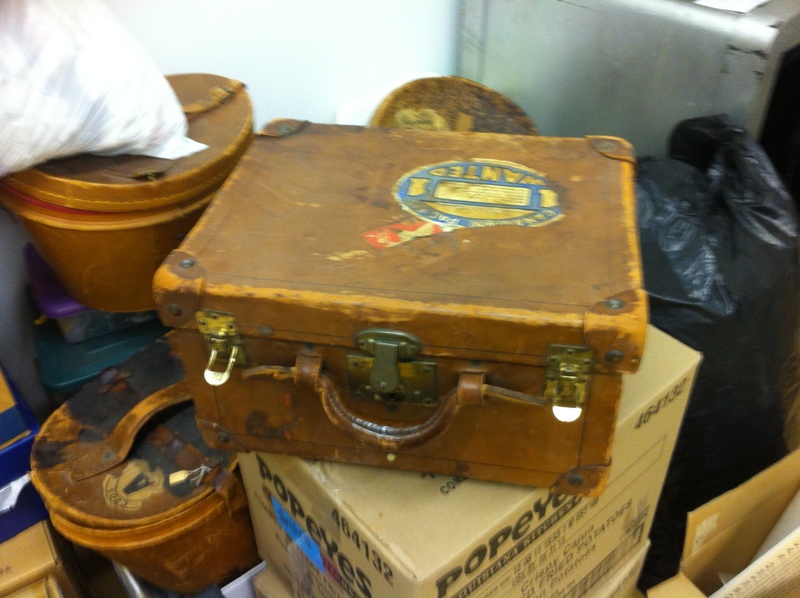 The Costume Museum of Canada is in the middle of another move so a few more things showed up in our work space. One item caught my eye. A case. Don’t cases just scream OPEN ME! 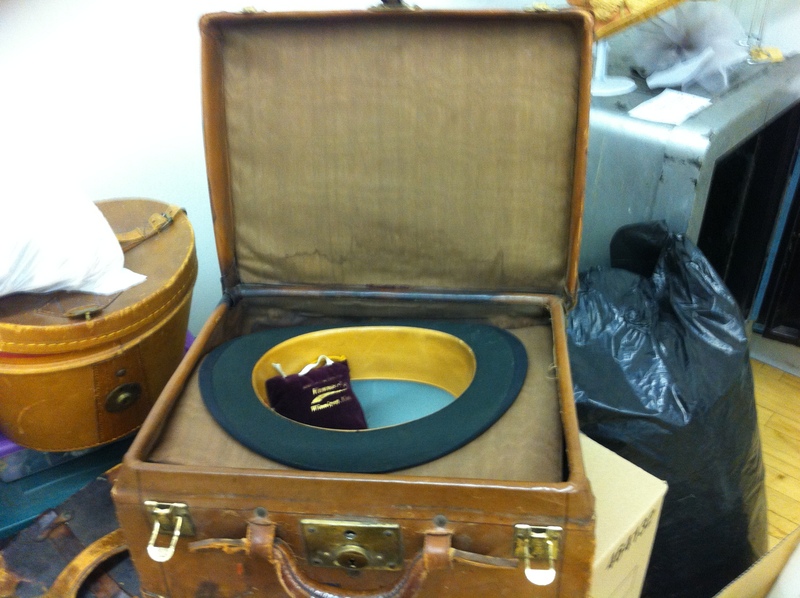 I then took the hat out. 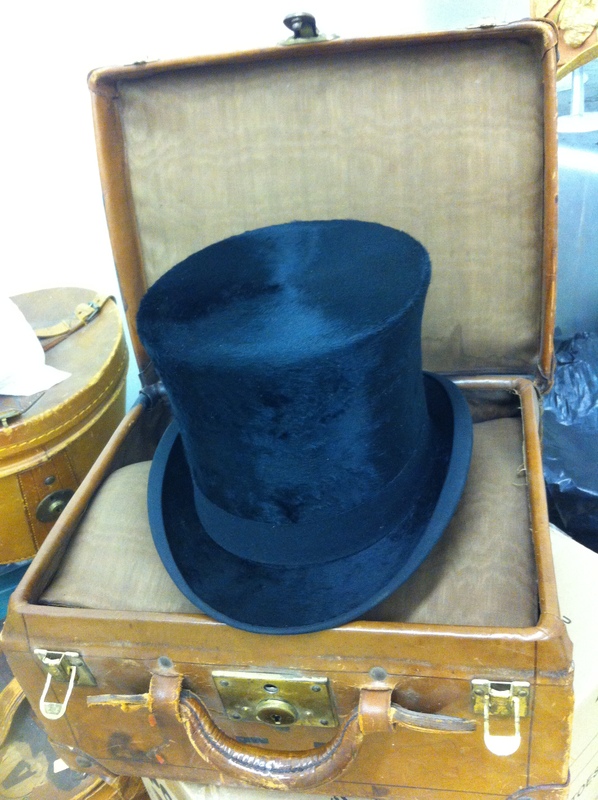 1900 top hat in mint condition! 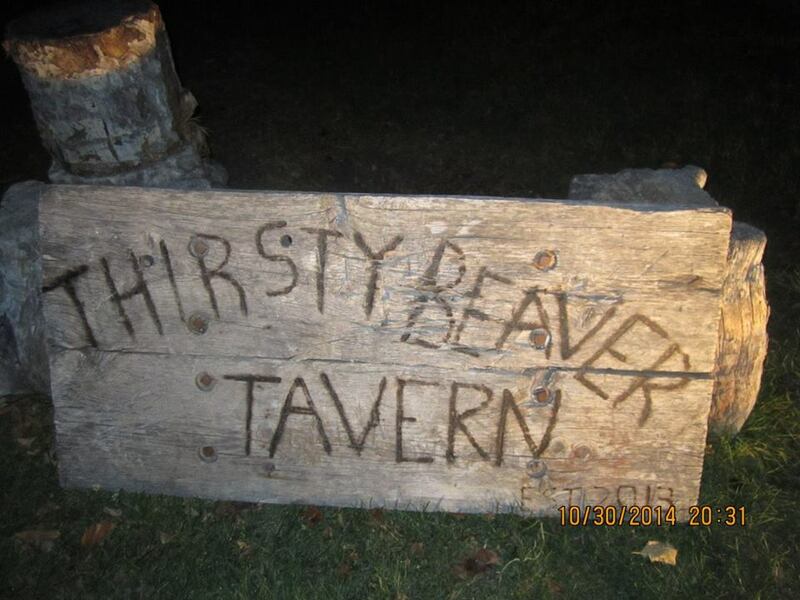 You can still see the hairs from what I assume to be beaver. I wanted to touch it so badly…drat those white gloves they have us wear! Last weekend some ladies from my church loaded up into several cars and headed to Minneapolis Minnesota for the Women of Faith Conference. It was a wonderful weekend of bonding with other women that I didn’t know that well (I go to a really big church so it is possible to know faces but not people). Some car loads went a day early – most with the intention of shopping but some with the intention of relaxing. I was hoping that this year, like last year, I’d find a car load that was willing to drive me to fabric store heaven…SR Harris. Well, it didn’t work out. But, I started this weekend trip with the intention of exercising my “go with the flow” muscles and my “find joy in all circumstances” muscles. I am a list maker and a “plan down to the last-minute” girl so those muscles are weak! If I couldn’t get to the fabric store what could I do? Not much. It seems my car load was planning a lay by the pool and read day and all other car loads were full. Not to be thwarted, I decided that to maximize my joy I needed to do something other than reading by the pool. I needed to do something I’ve never done before. I needed to plan an adventure. 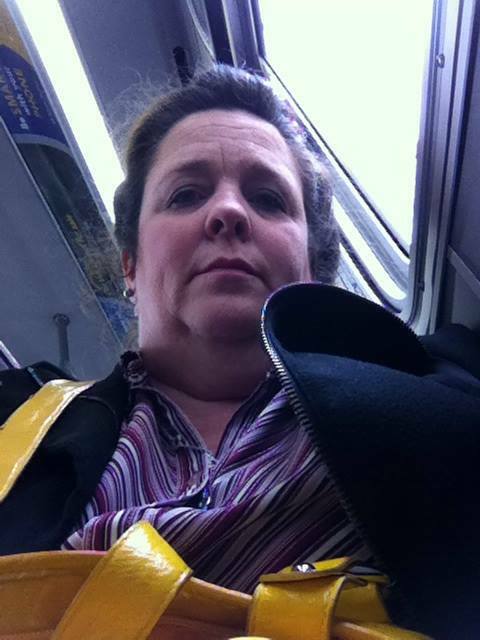 I had two choices pay: $90 for cab fare to the fabric store or take the bus ALONE in a strange city to Mall of America. I opted for the bus. It seemed more intrepid! I got on the bus and my first reaction was to act like I did when I was riding the bus at home. It is a long ride so pull out something to do. My phone was my go to object. Well then it hit me! That is not joyful or intrepid! I put the phone away and I (gasp!) looked out the window at this city that is not my home. I took note of places I wanted to go to later on. I was a creepazoid and talked to total strangers. I had fun! 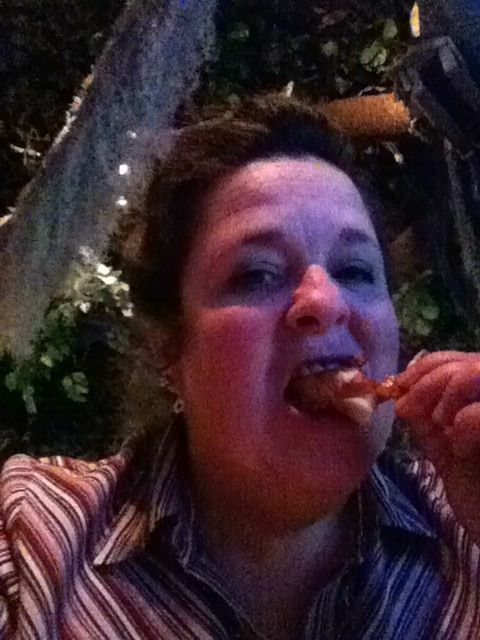 My reward for being so brave was to get to Mall of America and eat at the Rainforest Cafe. 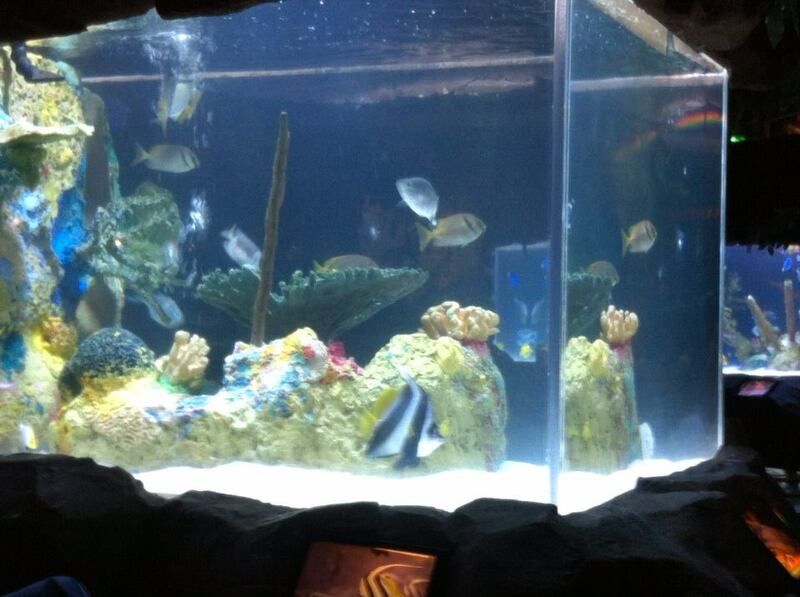 I love the decor…especially the fish tanks. 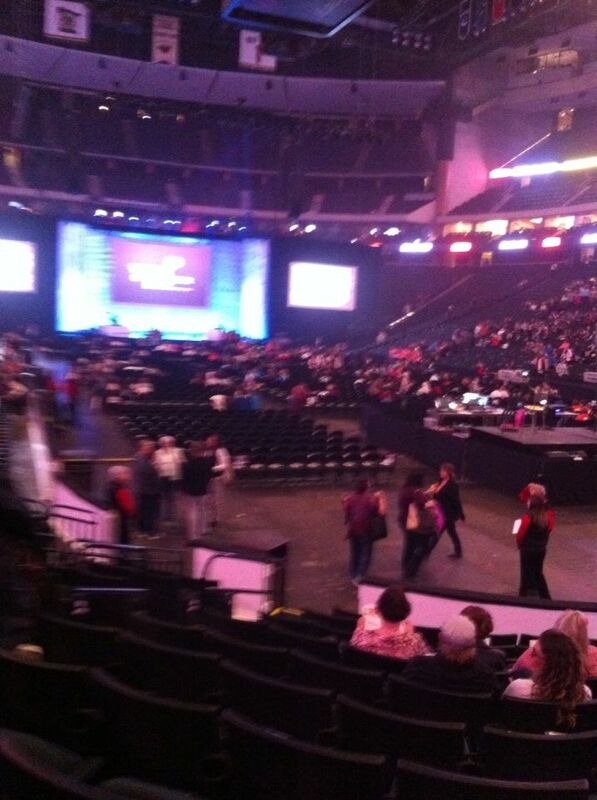 I enjoyed my view from my table…. 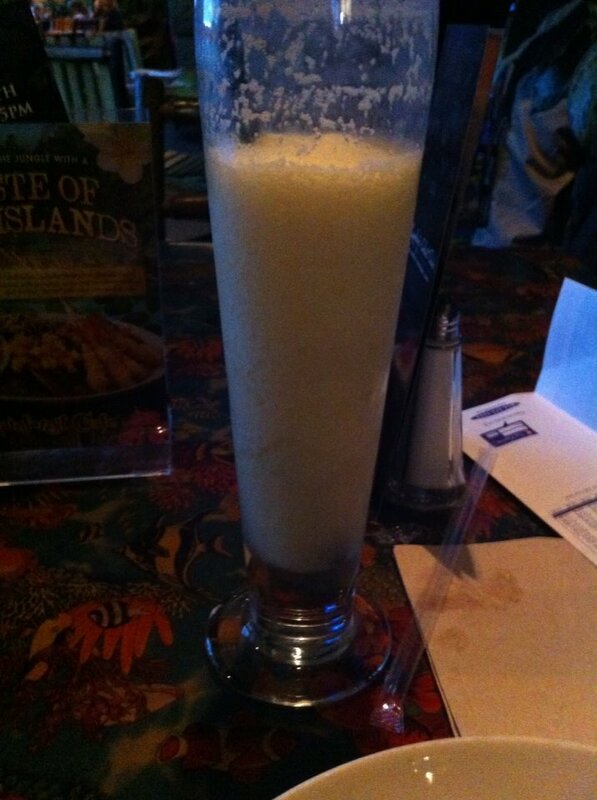 …while I sipped my drink. Who cares that it was only 11:30 am…I was on vacation and I wasn’t driving! I’ve been dreaming of their bacon wrapped shrimp since the last time I had it. I did some shopping, getting some gifts for my family and myself. 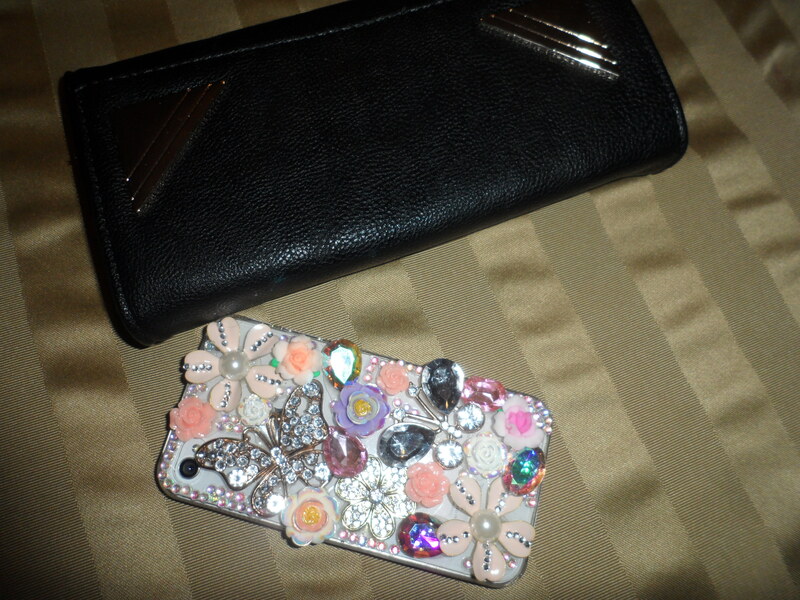 A new wallet and a wonderfully tacky phone case! I also enjoyed a massage chair so much that I was tempted to go home and sell my car so I could buy it. It was wonderful. I took the bus back to the hotel and had dinner. I was very tired and sore after all my walking at the Mall and knew I couldn’t walk to the opening session of the Conference. That is okay because on my bus ride I discovered that it stops right in front of the Excel Center! 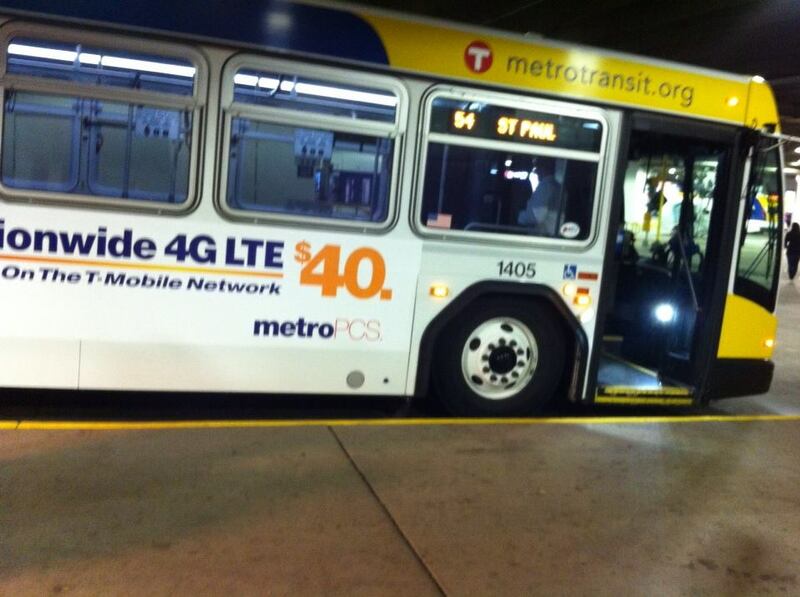 So I bused it there and back no problems. Lesson learned…you can learn useful things when you step out of your comfort zone. I enjoyed the conference very much. But since this is not a blog on religion or Christianity I will spare you the details. I will share that during our lunch break, I dragged a few of my buddies with me up the street to an antique store that I saw from the bus window the day before. 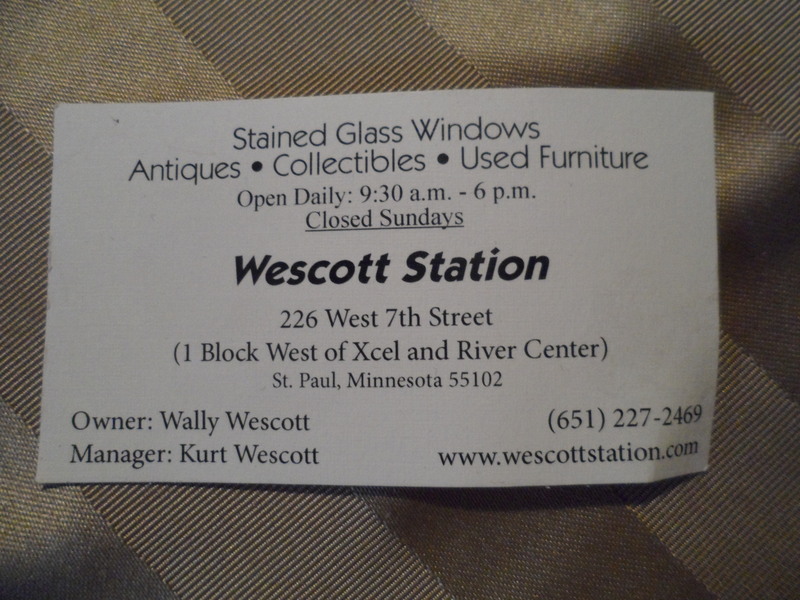 I recommend Wescott Station for its good prices, fun selection, friendly owners and well…the wonderful smell of old! There were a few things I would have loved to haul home with me but space in the car ride home was at a premium so I chose these items. You will eventually see the photos in more detail. But I will show you the chain. 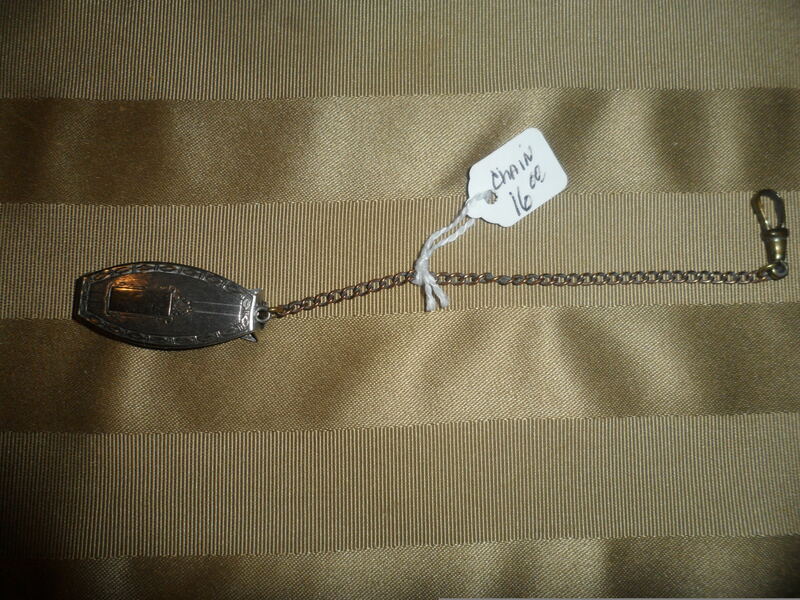 To me it looks like a simple chatelaine and that is how I will use it. If anyone else knows what it really is I’d love to hear from you. There is a slot at the back of the large end that looks like a belt would have been slid into. I have intended to make some belts for some of my outfits so this will work out wonderfully. Then I will hang a watch or a batch of keys from the other end. So that concludes my post on my weekend vacation. You all have a nice week back at work. 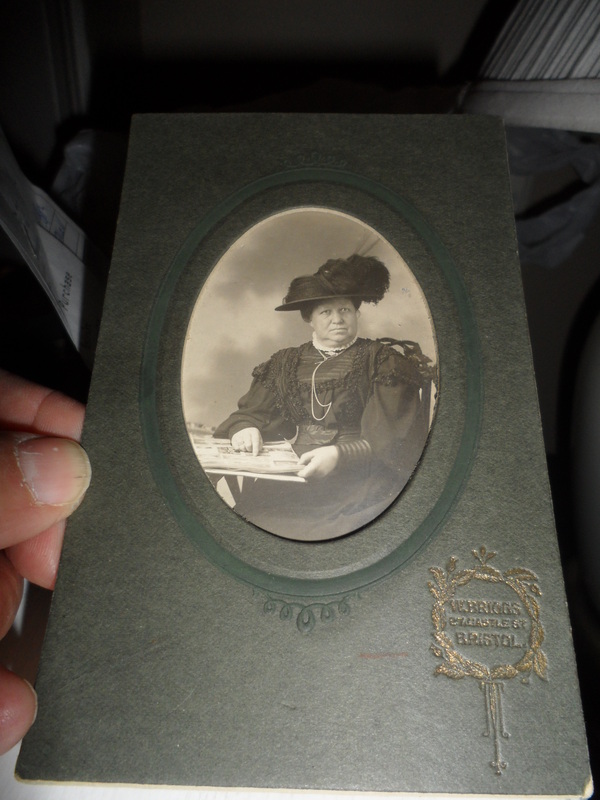 This little cabinet card is from Bristol and is of a very daunting woman. If she were a school teacher there would be no fooling around! She seems well dressed so I’d guess she has a house full of well behaved servants! She is pointing to a newspaper. I wonder if that has meaning or if it is just a pose intended to indicate intelligence and power. Judging by the sleeves and hat, I’d put this photo at late 1890’s. And it is obvious why I picked this photo. Look at that hat! 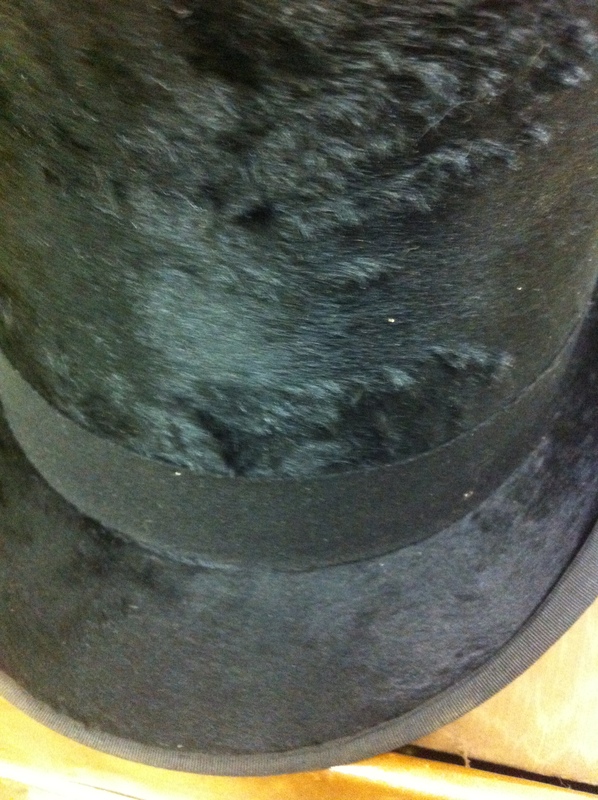 It is adorned with ostrich feathers and wrapped in a sheer fabric-perhaps netting. There is a pin at her throat and a watch chain under that. I’m going to have to get a longer chain for my watch and try to copy that look. There is something sticking out of the chain that I can’t make out even when I zoom in but I’m guessing its function is to keep the chain from tightening around her neck. The watch itself is tucked into the opening of the bodice. How I’d like to get in there! (Oh, clean up your dirty minds!) I want to know what is keeping the weight of the watch from pulling it deeper into the bodice. Is there a pocket? Or is the inner layer of the bodice snug enough to pin the watch up against her body? The sleeves and yoke are heavily decorated with lace and possibly beads. This adds to my suspicion that I could spend next year bringing my existing dresses up a notch or two by merely adding more detail. The trick will be bringing my dresses up a notch and making my self look stylish and powerful like the lady above and not looking like a crazy Victorian clown. Just where is that line? What not to do to a tin type! 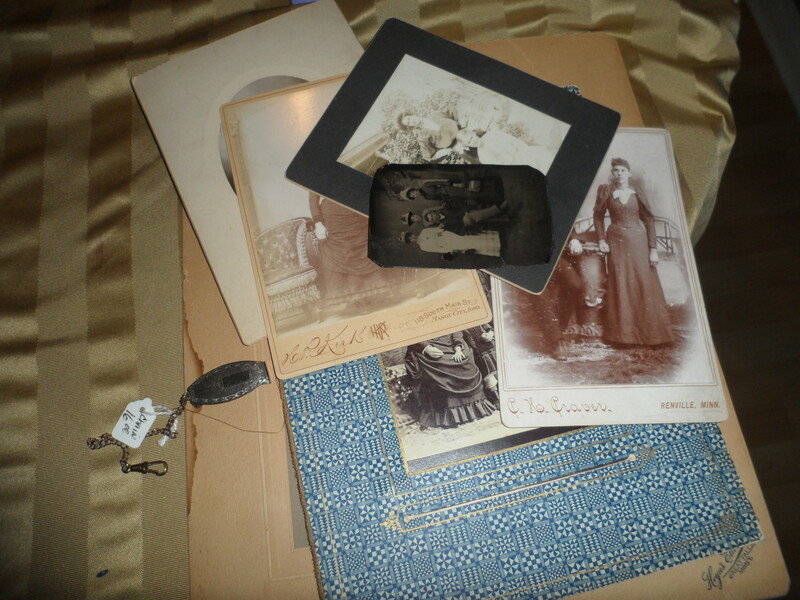 On my last outing with Shirley we stopped into an antique shop and I was able to score some old photographs at a good price. One of them was a tin type. It was being sold at rock bottom prices because it was damaged. This poor photo has been scratched and bent to the point of one of these poor ladies loosing her half her face. (But her best feature-her eyes-are still there for us to see.) 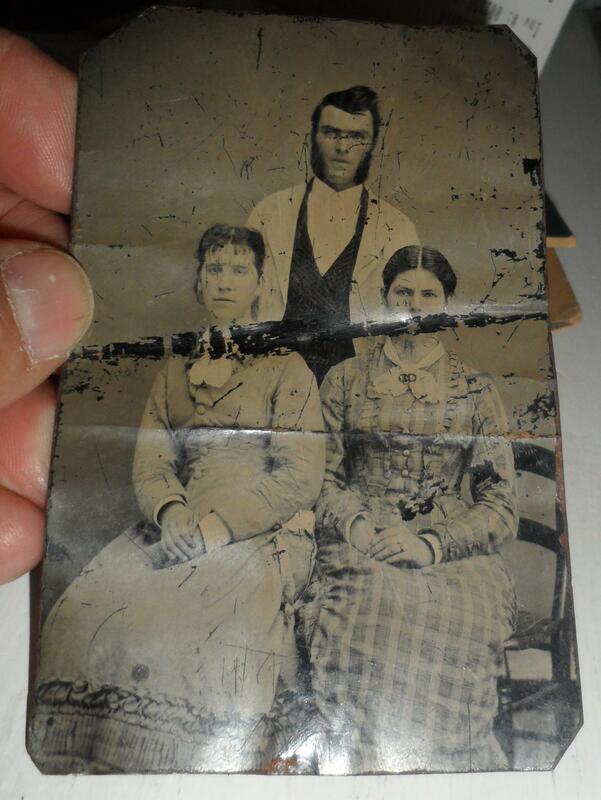 Luckily for this photo, it has been found by someone who is primarily interested in the gowns and hair. Judging by those features I’d guess this photo to be from the 80’s. One lady has the frizzy bangs that was the rage in the 80’s and one does not. It is a bit hard to be sure of the gowns because they are sitting but they seem to have the narrow front so I’m going to assume the bustles of the 80’s are there. I found this photo interesting because it goes with my idea that next year I hope to have a stash busting/no new fabric year. A lot of my stash is fabric left over from previous projects and so I’ve decided that can be cut up to add more details to my existing gowns. One of the details I had considered was puffs and pleats similar to what the lady on the left has on the bottom of her gown. 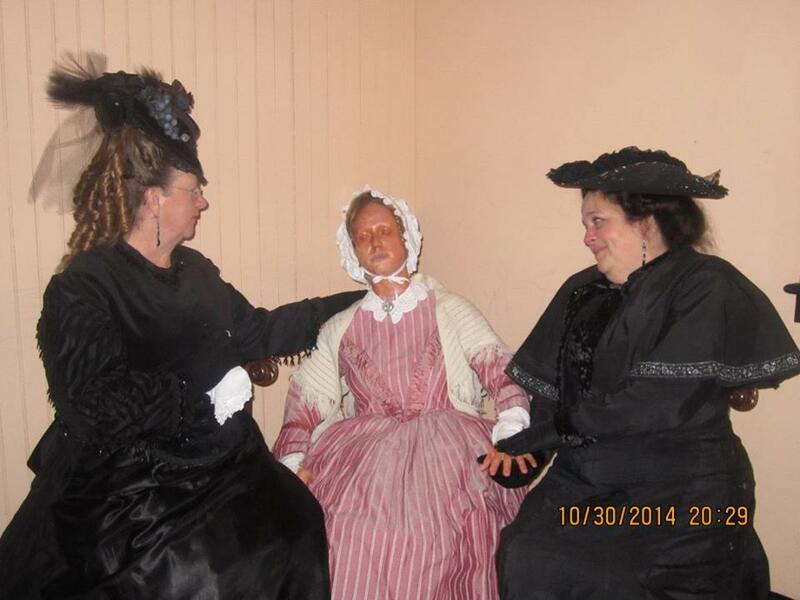 The lady on the right has small pleats added to her bodice. I also like her bow that is pinned to her throat. That would make a nice quick project. I can’t finish off this post without commenting on the gentleman’s hair and facial hair. All I can say is I wonder if the hubby would ever consent to that coiffure! Ha! I think not! But, then again, I can’t get him to wade into my hobby/madness anyway!